Best Bite: Chef Zoe Schor built a tradition of themed Restaurant Week menus in past years at her previous restaurant, Ada Street: female chefs in 2014 and famous last meals in 2015. 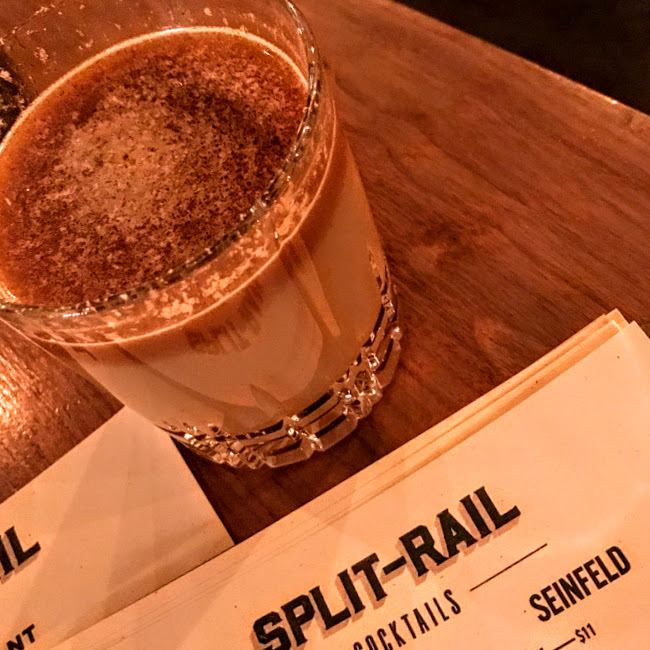 So she continued the tradition at Split-Rail this year with two five-course menu options: one inspired by Seinfeld, the other inspired by Friends. 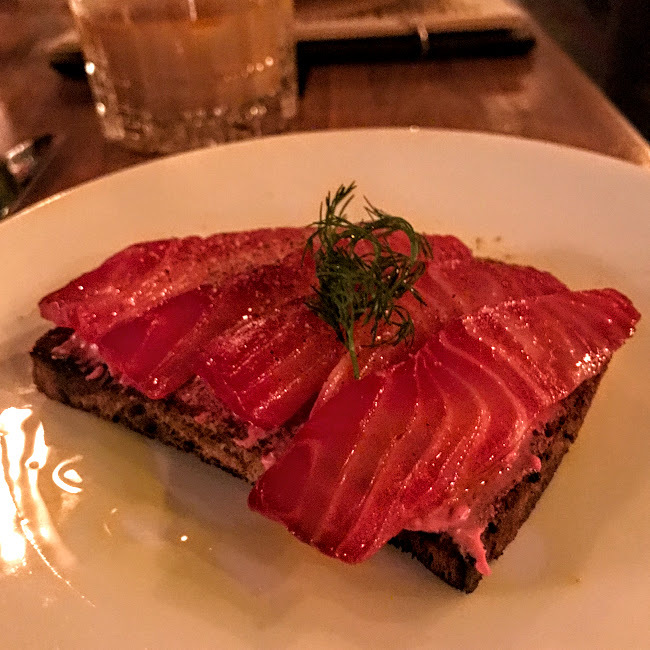 We shared both sets of dishes, and most of my favorites were on the Seinfeld side – especially luscious beet-cured salmon atop rye toast (to commemorate the episode when Jerry stole a loaf of marbled rye from an elderly woman). On the Friends side, I really liked the winter squash tartlet, inspired by an episode where “tartlet” is repeated over and over by a chef under the influence during Monica’s job interview with him. 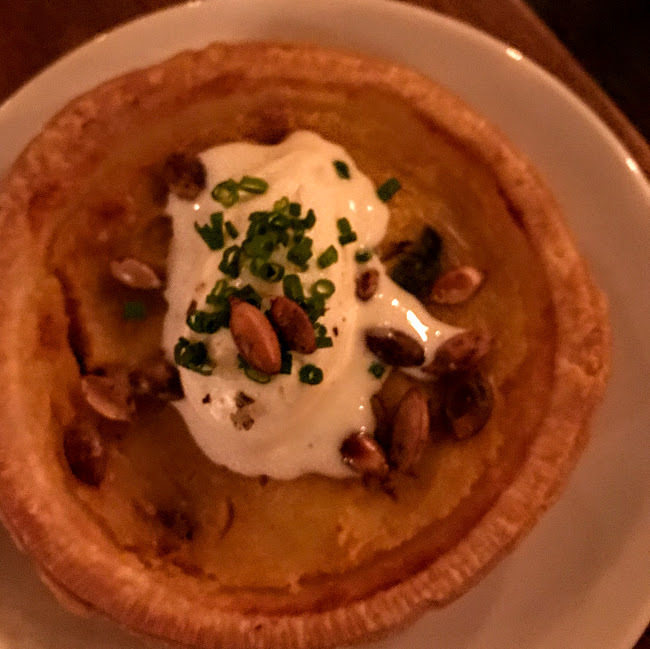 It was almost like a mini pumpkin pie, but more savory with creme fraiche and pumpkin seeds. Other notes: The theme extended all the way to the cocktails, with a spin on hot buttered rum to represent the Seinfeld episode where Kramer shaved his face with butter. 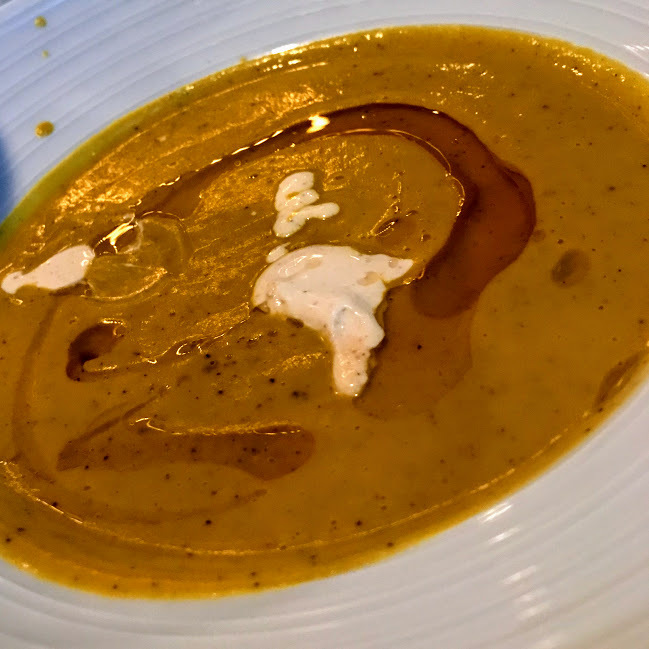 And it’s not a Seinfeld dinner without a Soup Nazi reference, so we had to try the crab bisque, which had a pleasantly high proportion of crabmeat to broth. So there was, indeed, soup for us. The details: Split-Rail, 2500 W. Chicago Ave., Chicago. Best Bite: I first visited Boka during Restaurant Week 2011 (before I even started this blog! ), so a return visit was well overdue. 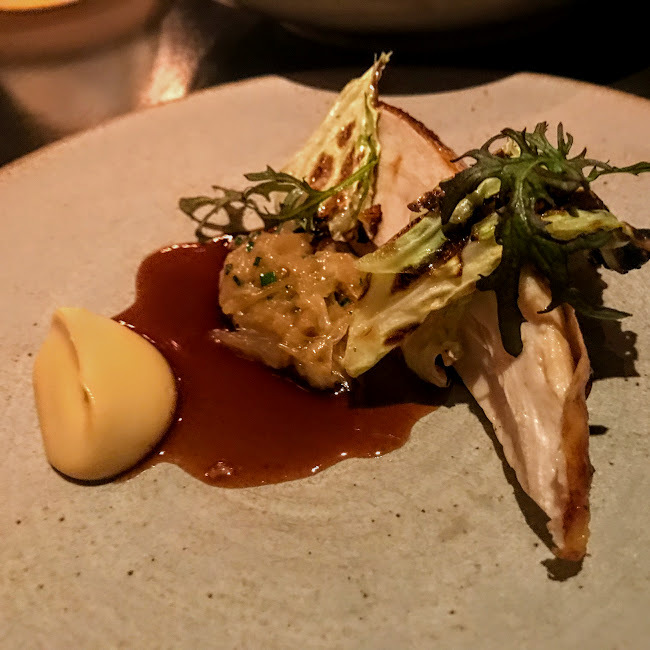 I was excited to finally try the roasted chicken that’s been a mainstay of the menu ever since Chef Lee Wolen took the helm. It was possibly the most perfectly juicy slice of chicken I’ve ever eaten. The roasted carrots were also at just the right doneness, with a buttermilk dressing and lots of sesame. 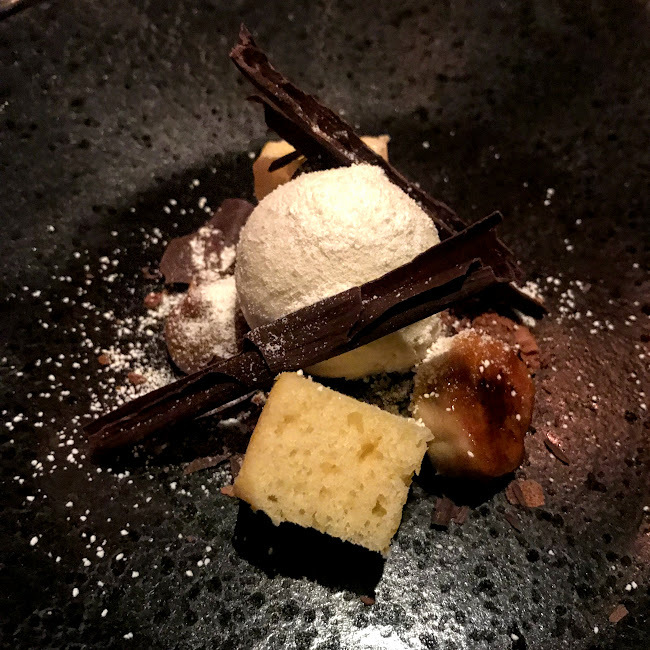 Other notes: The banana dessert was anchored by speculoos (cookie butter), a combination that reminded me of this Stan’s donut – but elevated with a beautiful presentation of shaved dark chocolate, cubes of sponge cake, and banana ice cream. 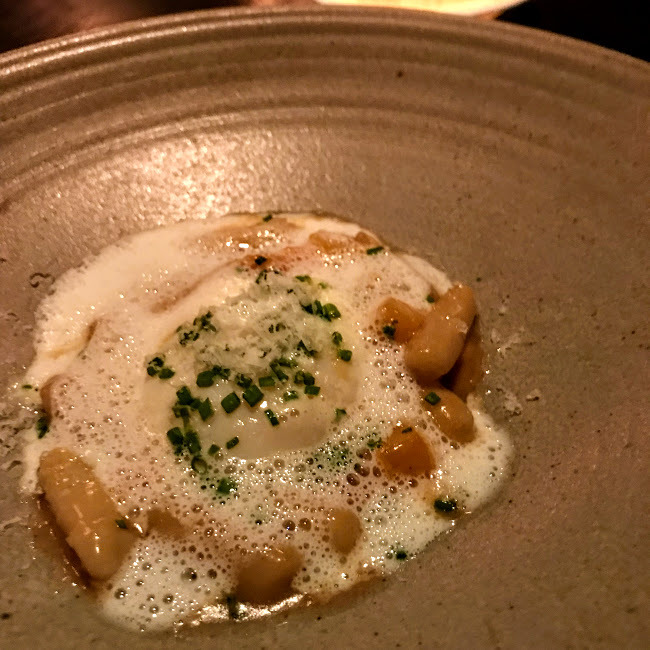 And the technical expertise required for the slow-poached egg nestled in dense cavatelli and parmesan was truly impressive. 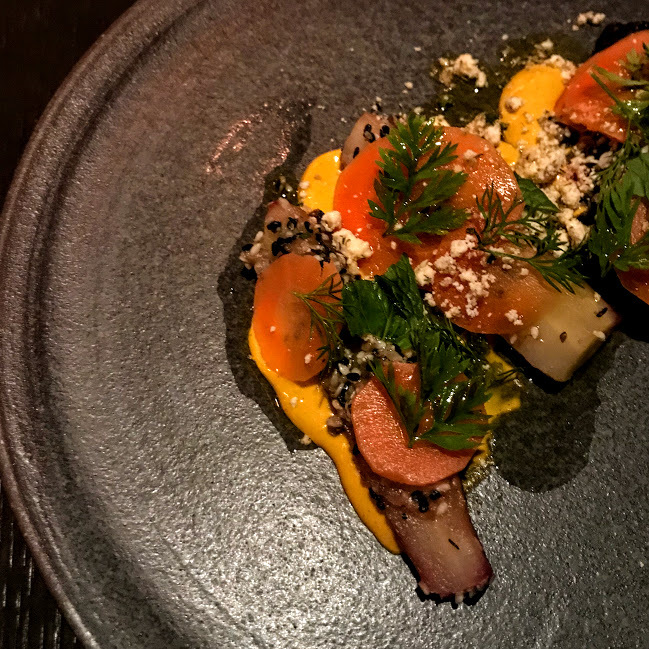 The details: Boka, 1729 N. Halsted St., Chicago. Best Bite: Barrio introduced me to a brunch combination I’d never thought possible: churro French toast. Cinnamon-laced churros were layered together like bread pudding, then dipped and griddled like French toast. 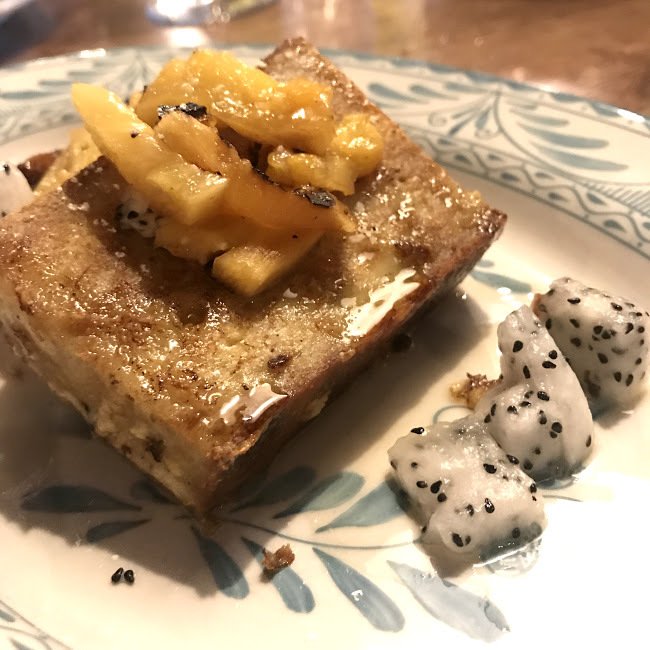 The dragonfruit and grilled pineapple accompaniments made it even more tropical and exotic. 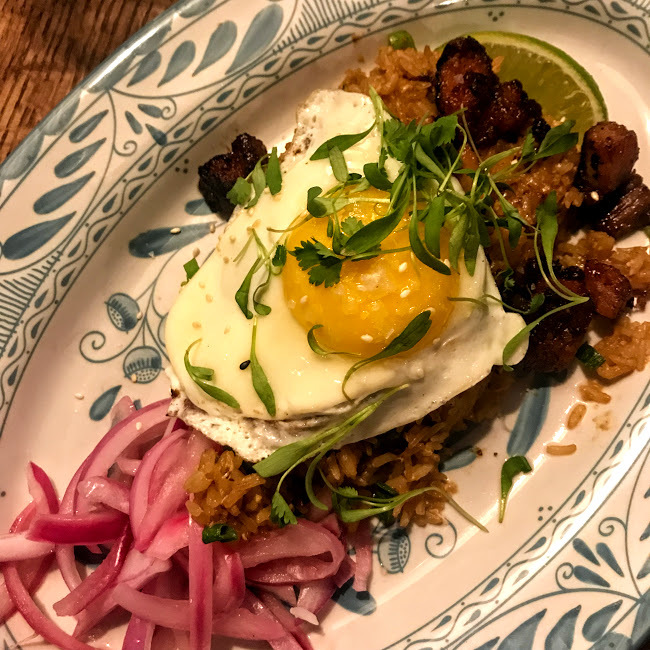 Other notes: The savory side of brunch was also satisfying, with especially crispy pork belly and scallions dotting egg-topped fried rice. The festive drink menu (including a rumchata-espresso-soft serve concoction) was well worth exploring as well. The details: Barrio, 65 W. Kinzie St., Chicago. Best Bite: If I see skate on a menu, I’ll usually order it (see also: Mexique). 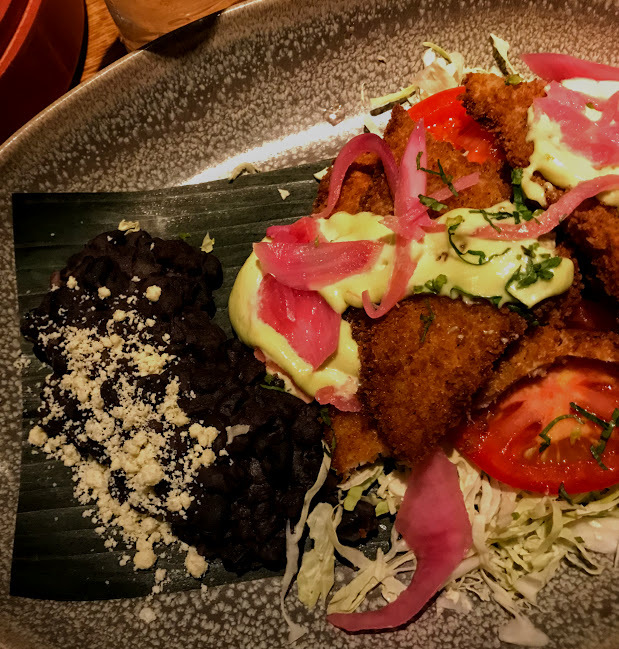 This crunch-coated version with lime mayo and pickled onions was still perfect for tucking into tortillas – though I wasn’t surprised that Mexican master-chef Rick Bayless would even make humble tacos high-end. 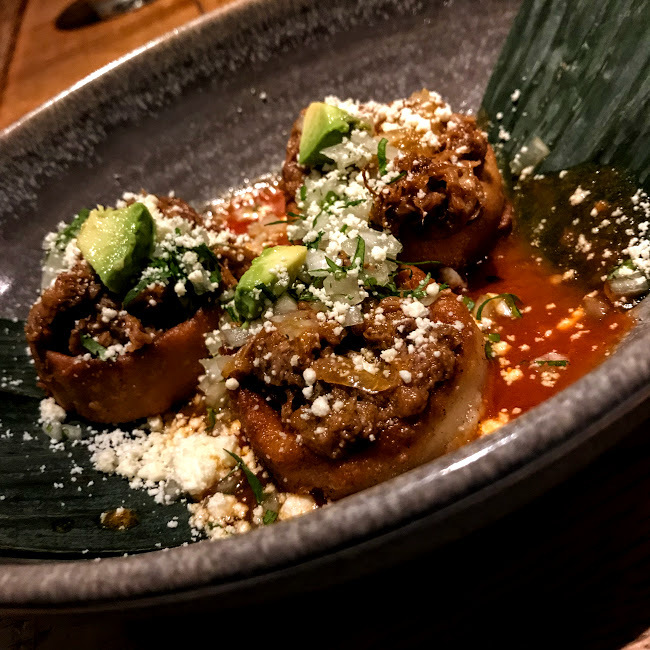 Other notes: I loved the masa boat appetizer with beef, tomato sauce, and tiny hunks of avocado. 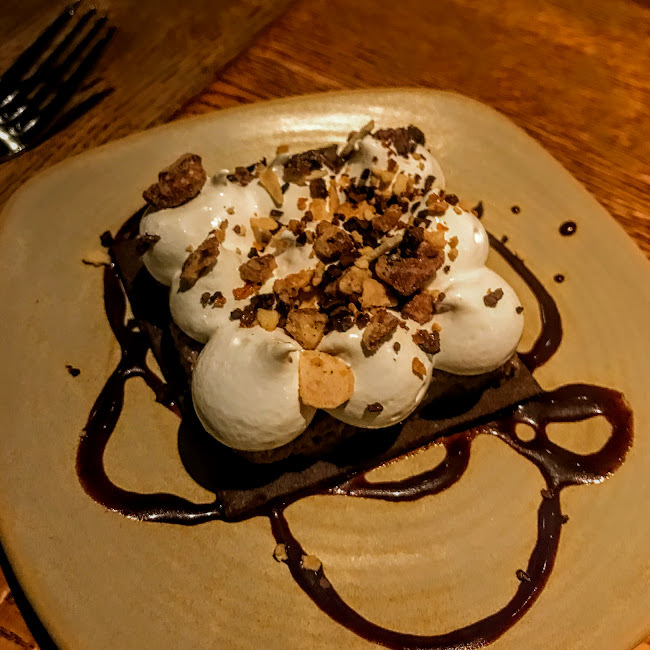 And the cleverly named Dos, Tres, Cuatro dessert didn’t just include tres leches (three milks), but also two kinds of nuts and four kinds of chocolate in a s’mores-like presentation. The details: Frontera Grill, 445 N. Clark St., Chicago. 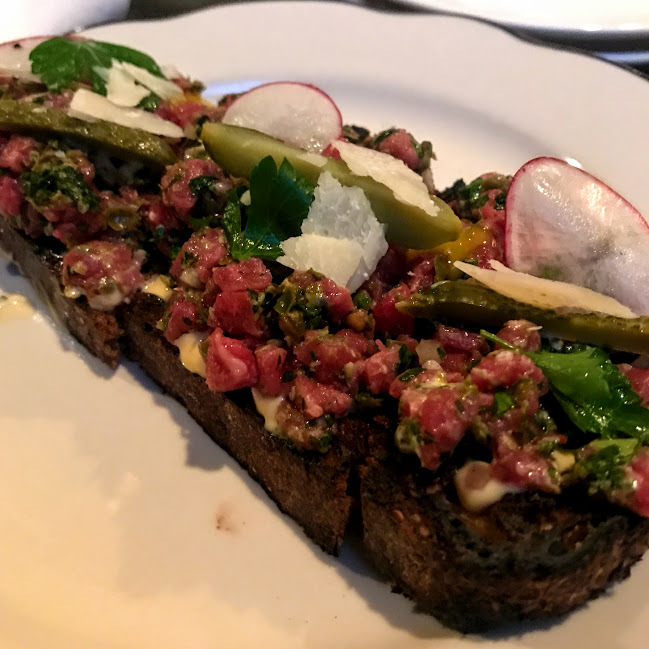 This is part of a series of posts about Chicago Restaurant Week 2017, held January 27–February 9. View all of this year’s meal recaps, or browse all Restaurant Week coverage from 2013-17. Best Bite: I’d only been to Celeste for drinks in their rooftop garden, but hadn’t yet tried the food. 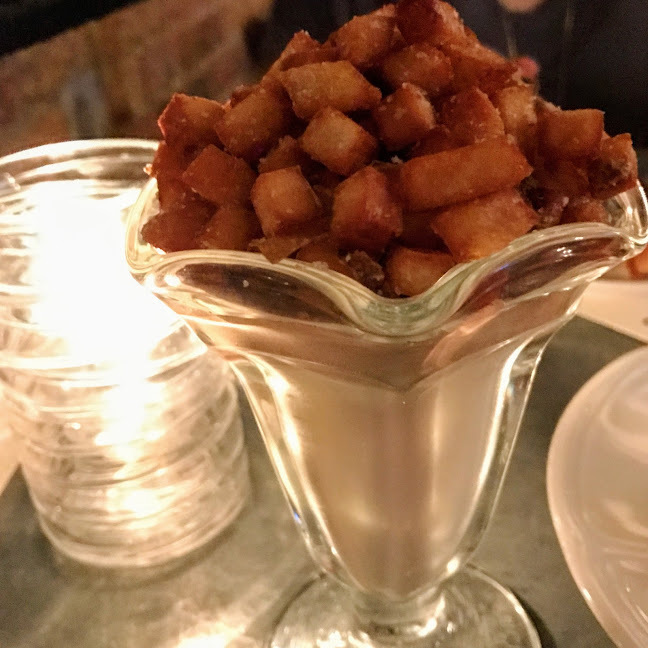 The “Shake & Fries” dessert was probably the most intriguing and bizarre item on any of my destinations’ menus this year, described as a French fry panna cotta with Nutella mousse and fry crumbles. But, surprise! The sweet and salty worked very well, just like dipping fries into a chocolate Frosty. The parfait was a little precarious to eat at first, given the mountain of fry pieces on top, but it was worth it once you were able to dig down for a bite of all three components together. 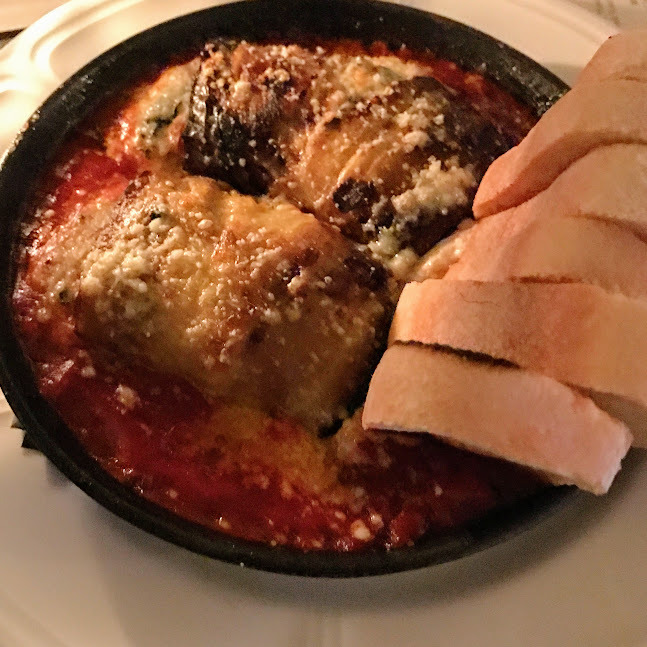 Other notes: My other favorite dish was the eggplant involtini, mostly because of the garlicky marinara and the three kinds of cheese inside the rolled eggplant slices.The bulgogi lamb chops were also a nice starter, with lots of glazed veggies on the side. The details: Celeste, 111 W. Hubbard St., Chicago. Best Bite: This was my first time back at ZED451 since Restaurant Week 2014. 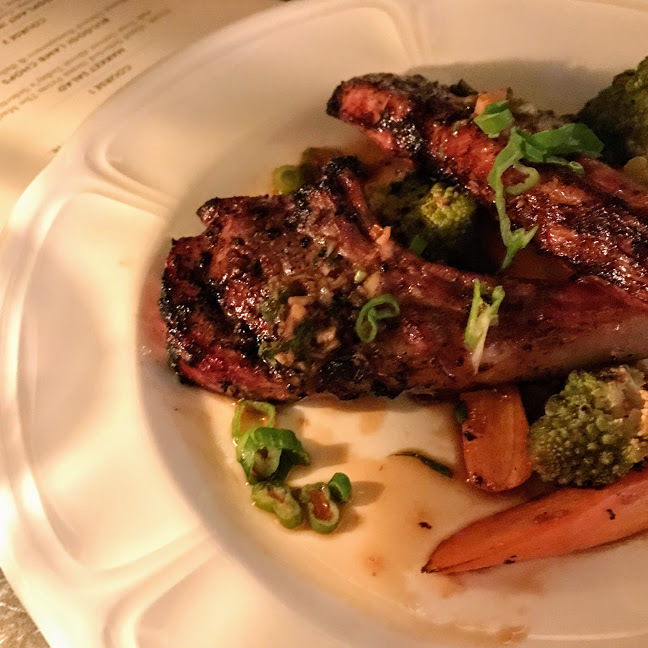 The all-you-can-eat strategy for salads and meats still made it Restaurant Week’s best value, but interestingly, dessert is what stole the show for me on this latest visit. 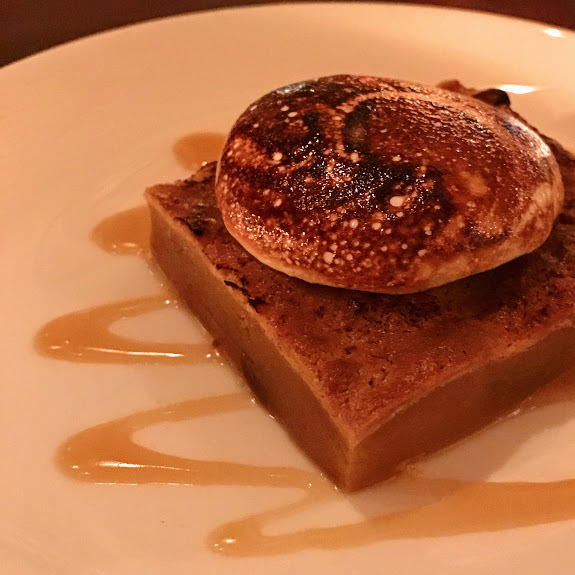 A housemade marshmallow disc was bruléed on top of the butterscotch bread pudding in the most exceptional way, fully melted inside but still holding its crisp exterior. Other notes: Just as before, the harvest table was overwhelming. 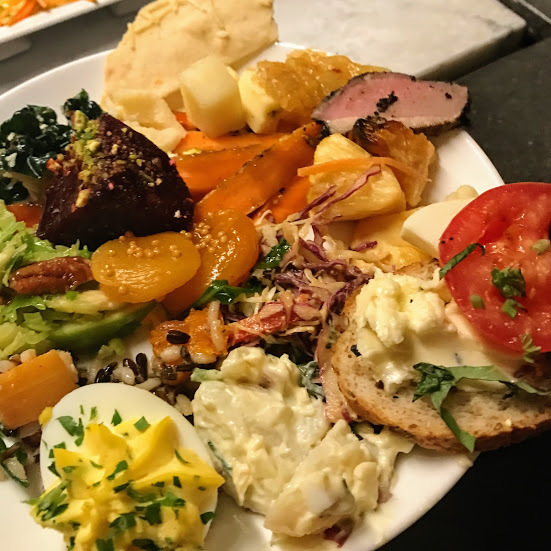 I especially enjoyed the veggie salads, from beets to carrots to brussels sprouts, and also the array of cheeses with fig and apricot accompaniments. 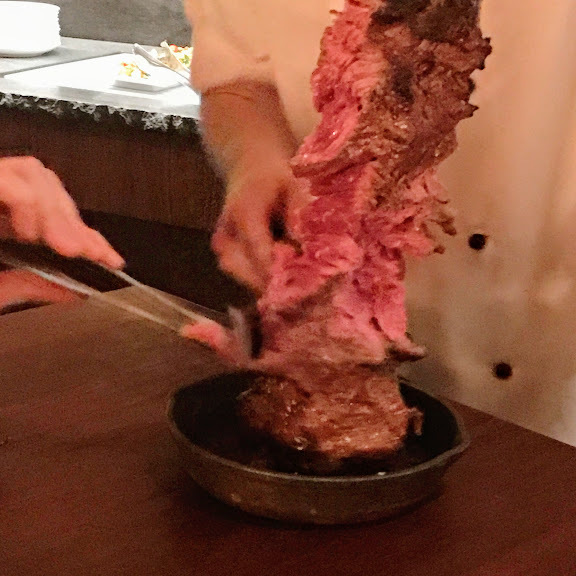 All three meats served tableside – sirloin steak, glazed salmon, and Moroccan-spiced chicken – were even better than I remembered. My next visit may have to be during brunch, which is also unlimited and around the same Restaurant Week price point. The details: ZED451, 739 N. Clark St., Chicago. Best Bite: Gene & Georgetti proudly boasts the title of Chicago’s oldest steakhouse. It’s the kind of place that doesn’t seem to have changed very much from when it opened in 1941. Not surprisingly, the steak was the star of the meal. 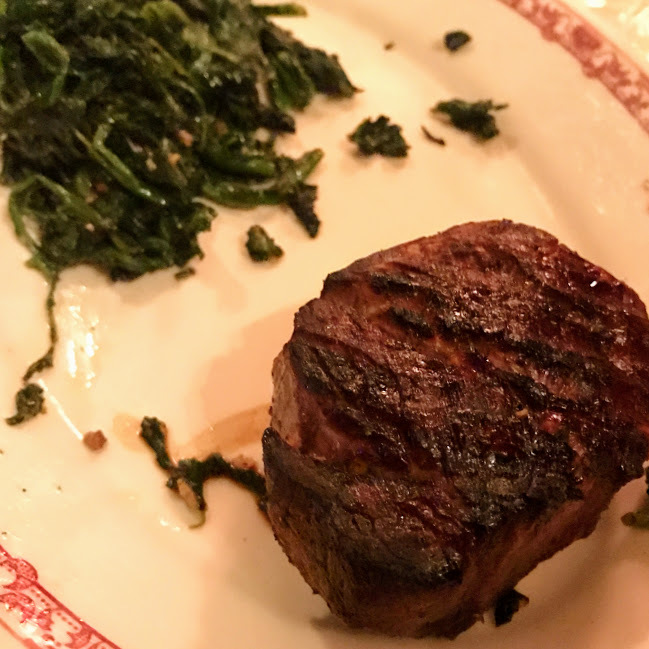 The filet had the right amount of well-seasoned crust, and the garlicky spinach on the side kept with the no-frills theme. 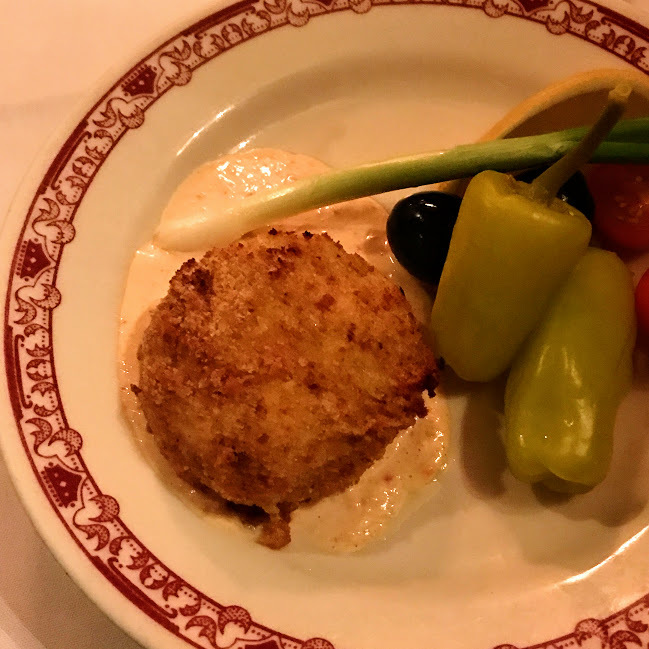 Other notes: The crab cake was classically prepared, with zesty remoulade and old-school garnishes. 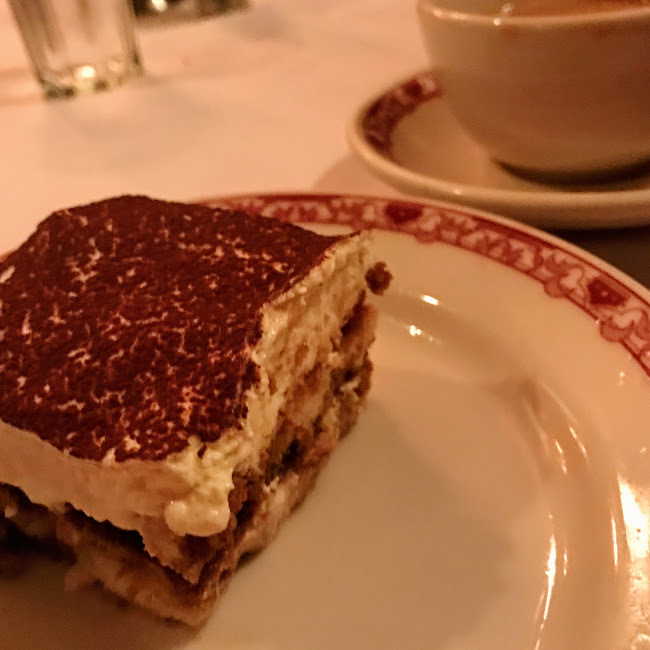 And as our group wrapped up the meal with tiramisu and coffee, you could almost hear the decades of Chicago business conversations echoing off the dark wood paneling. The details: Gene & Georgetti, 500 N. Franklin St., Chicago. 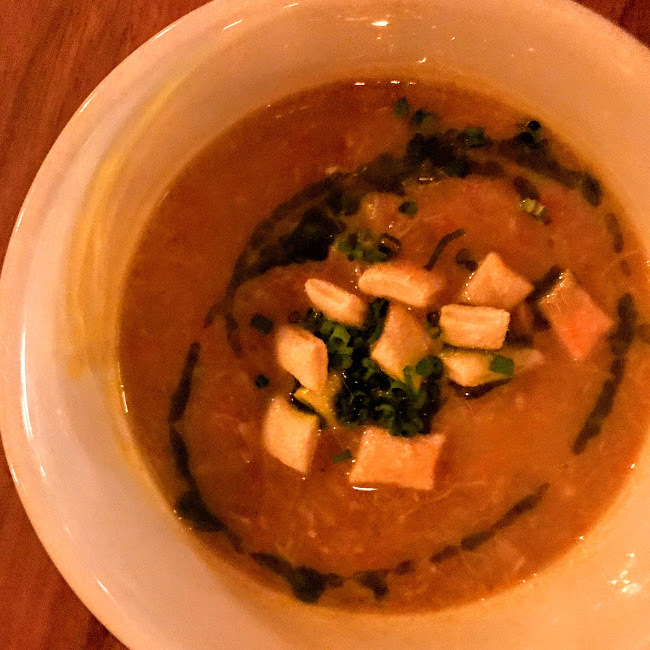 Best Bite: Appellation is the full-service restaurant attached to Pastoral’s relatively new Andersonville location, and was among those offering brunch this year. 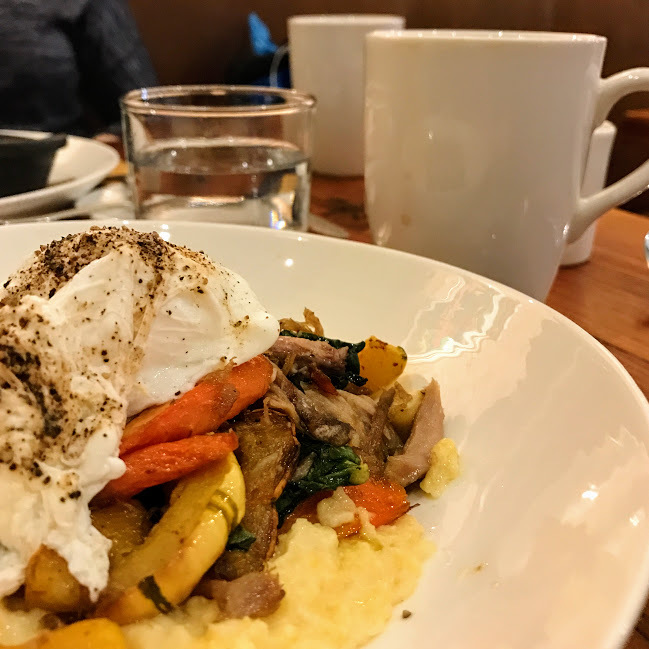 I’m usually more of a savory brunch person, so the duck confit hash with delicata squash, carrots, and poached eggs was just what I wanted. The cheesy grits at the bottom of the bowl were also a welcome switch from the typical potato base. 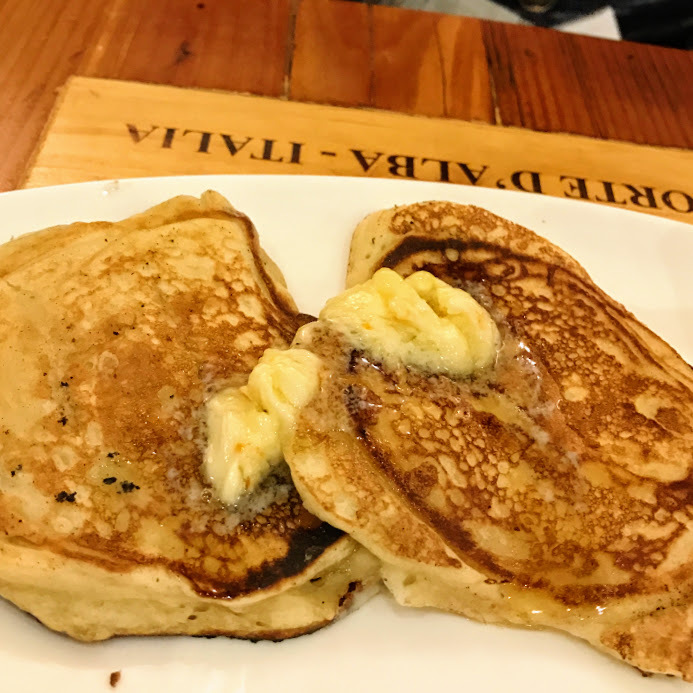 However, the dish that left the very best impression on me was actually the pancakes. I’m not sure whether it was the dense texture of the cakes or the orange butter on top, but they were excellent. 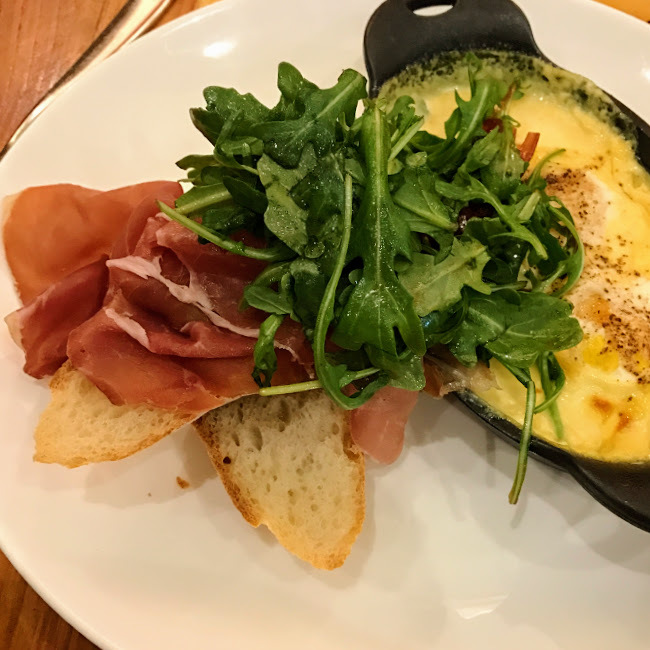 Other notes: The baked eggs in squash cream were another creative take on a classic savory dish, especially because you could load up each slice of baguette with a pile of prosciutto, arugula, and the creamy eggs. I was so full at the end of the meal that I didn’t even browse the cheese and artisanal food selection for which Pastoral is most known – that will have to merit its own separate visit. The details: Appellation, 5212 N. Clark St., Chicago. 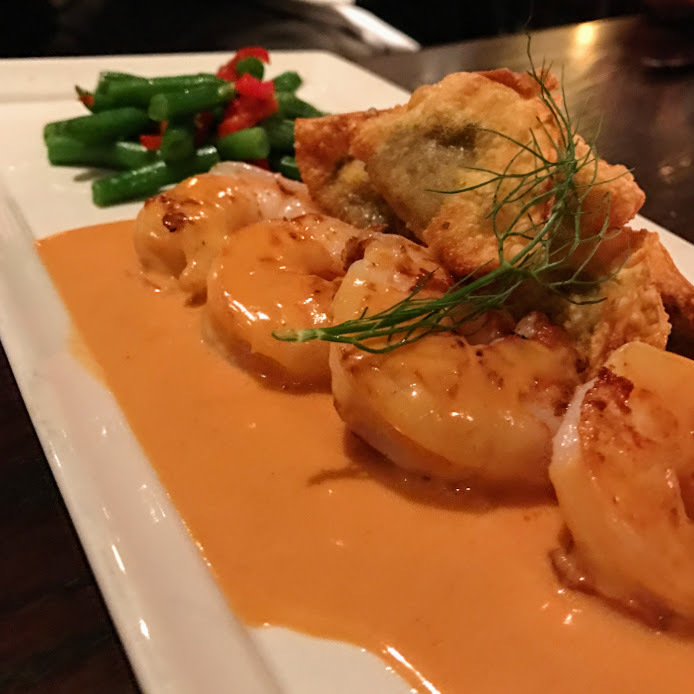 Best Bite: De Quay’s combination of Dutch and Indonesian cuisines has intrigued me ever since they opened, so Restaurant Week felt like the right time to try it out. 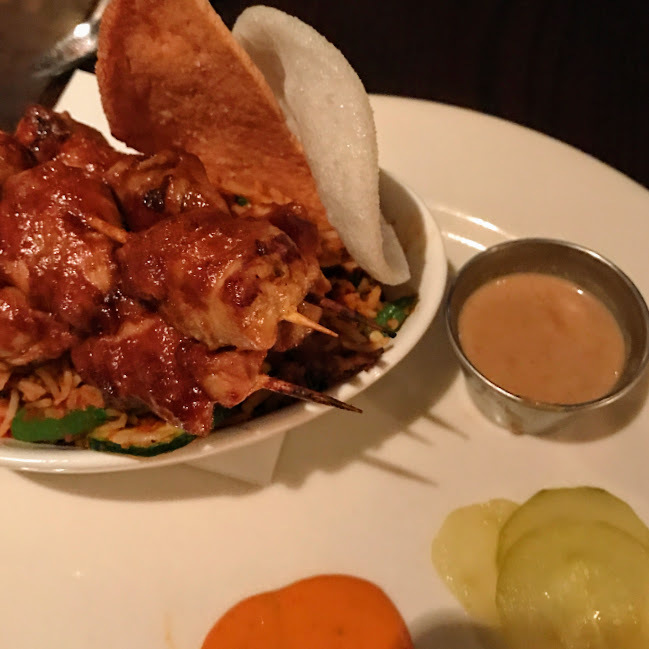 Both entrée options had a lot going on – the marinated, lightly charred chicken skewers came with spicy rice, mild pickles, and two sauces; the pan-seared shrimp were joined by mushroom dumplings, green bean-pickled pepper salad, and a rich panang beurre blanc. They both showcased a broad range of influences, but still came together well. 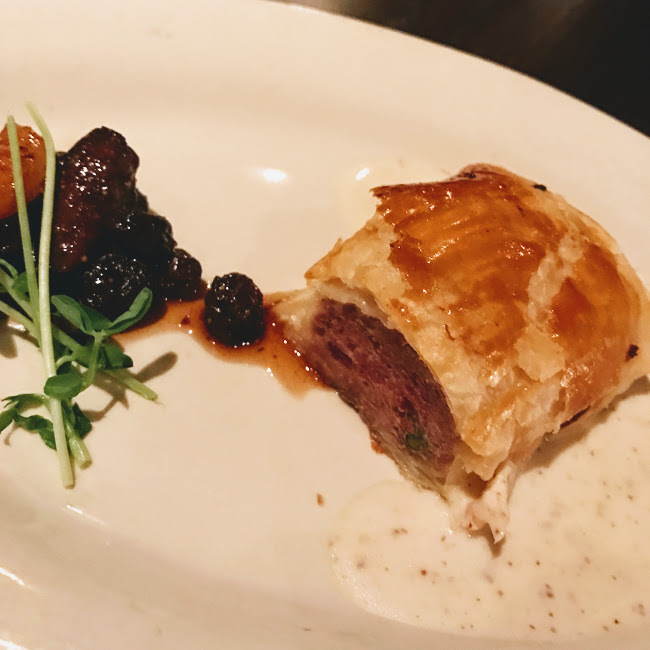 Other notes: The brabant roll was the first-course winner, a decadent appetizer that brought together flaky pastry, smoky pork, dried fruit, and mustard sauce. 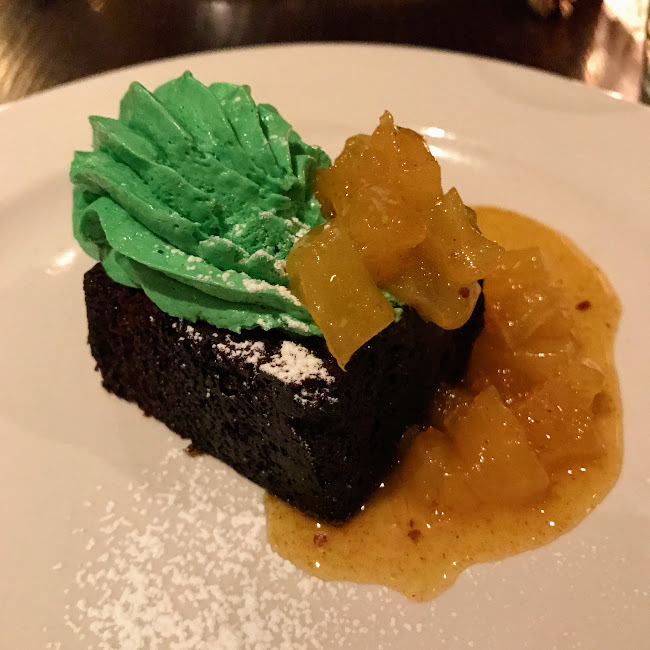 And while I was jolted at first by the neon green buttercream atop the cocoa cake, it worked nicely with the curried pineapple. We also had the warm housemade stroopwafel with a generous helping of vanilla ice cream on the side, and while humble in appearance, we agreed it was far superior to any stroopwafel we’d ever had. The details: de Quay, 2470 N. Lincoln Ave., Chicago.